Landscape Design and Project Management The Biophilia team is focused on bringing nature into peoples lives in all environments. We believe that nature and specifically plants, natural light and fresh air make humans happier. It is with this belief that we begin our design process, creating spaces that connect people with nature and enabling them to heal and thrive. H & H Renovations is a family owned and operated company with 20 years experience that offers a full range of construction and design services. A believer in the inherent synergies of design & construction, Ian follows an integrated approach to produce impeccably considered & detailed buildings which focus above all on client needs. Owner/Designer Kristy Palmer has been providing personal, friendly design services to residents of lower Vancouver Island for over 18 years. We are Vancouver Island's most trusted and recommended Masonry & Home Improvement Company. For over 40 years, we’ve been providing a higher standard of quality to homeowners in Victoria, the Gulf Islands and beyond. The proof of this lies in the thousands of happy customers that refer their friends and family to us – and keep our company growing. Do it Once, Do it Right! It’s more than a tagline; it’s an attitude that pervades everything we do at Flintstones. Brad Grindler provides custom home design services and quality Linwood Prefab Home and Cabin packages on the Gulf Islands, Vancouver Island as well across Canada and the United States. Benefit from his 25+ years of industry experience. He is a Certified Sustainable Building Advisor and LEED Green Associate so you can build sustainably and energy efficient. Brad will listen to your vision and use his expertise to translate your dream into a thoughtfully designed, beautiful and expertly crafted home. The process will be collaborative and transparent with a resulting home that is highly personalized, comfortable, healthy, light filled and financially smart. Linwood Homes proven building solution will give you a better result and be more cost effective. Design Build San Juan and Cabinets San Juan - Design Studio We are a Full Service General Construction Firm in The San Juan Islands, Washington State. Terry Whalen /Shalen Inc with extensive knowledge in residential construction from design and drafting, foundation’s to roofs, has partnered with Lori Williams, Island Aesthetic Design LLC, to become Design Build San Juan. Her clients enjoy her professional attitude, Architectural and construction knowledge and ability to listen in order to create a unique environment for each individual. Together they are a full service building and design firm offering whole house architectural design, permit documents, design services, CAD drafting, new construction, and remodeling. 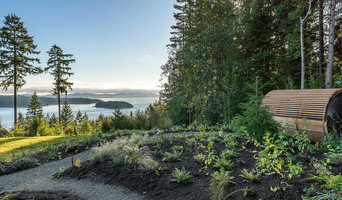 With a design studio in Friday Harbor located at 1385 Beaverton Valley Road Suite 4, they are well positioned to create the island home of your dreams. Design Build San Juan saves you time and money by streamlining the design and general construction process with an in-house team licensed and bonded general contractor, carpentry labor, designer, tile and cabinet dealer and project management. Their experience allows them to successfully navigate through the many challenges and logistics of general construction and remodel projects, cabinetry, designing, permitting and scheduling for your Design Build Project in the San Juan Islands and Beyond. Come in to our showroom and see the latest trends in Cabinetry, Tile and Granite for the whole house, including the office and closet organizers. Accentuate your home decor with your own personal taste a style, whether its a Tuscan Villa, a Southwest Hacienda, a craftsman Bungalow or and edgy Metropolitan Penthouse. Affordable and Custom Cabinets; Bellmont Cabinets, Canyon Creek Cabinets, Ronbow Vanity and Bathroom Accessories and 6 Squared Cabinet lines available. We carry a selection of Tile, Granite/Solid Surface Countertops, Vanity Countertops and Ceramic Sinks, Glass and Stone Vessel Sinks and other Home Interior Fixtures/Decor and Exterior Finishes available. We are Architects and Builders. Yes, a single source of contact…from design conception to final project detailing. Owners love the fact they can rely on Sellentin True Design Build to manage every aspect of their project. We are the executers of dreams! Our genius shows in the details. We are astutely aware of our clients’ project needs and desires. Our blend of design sensitivity, expert value engineering and craftsmanship are unparalleled in the industry. By allocating a proper balance of design, constructability and sustainability, we have achieved some amazing results. We are “green minded” and have been a leader in steering clients toward these unique solutions for over 15 years. We utilize our creativity in all aspects of the project and pride ourselves in being “Solution-Minded Thinkers.” Architecture and Construction. Specializing in Remodels, Custom Residential. Small Commercial 30+ Years of Experience in Design and Construction. Both Architect and General Contractor. Licensed. Bonded & Insured. Since 1981 Cornerstone Builders has been helping people navigate through the maze of design and material questions, choices, options and other custom construction questions that are part and parcel of the custom home building and remodeling process. We’ve helped hundreds of home owners just like you, through the process, and we can help you make choices that reflect your priorities and fit within your budget. Design and budget are very closely related in custom home construction. We’ve been working with those two issues for years which means we can recommend custom options that you can afford and also fit your style! As a client of Cornerstone Builders, you will be able to move into your new or remodeled home with your hopes and expectations fulfilled – with both the final product and the process that got you there. At Linwood, we help you design and build your new custom home at the best possible price. We create your new home design – then manufacture a material home package especially for you. We put you in touch with a network of quality builders or help you work with your own builder. Our unique factory direct approach saves you money, yet provides outstanding support and expertise. Citizen is a design-build firm specializing in urban residential construction. We love creating spaces that our clients feel reflects who they are. Inspired by the idea that all people, spaces and things have a story; we want to connect these narratives in a meaningful way. Often our clients just need the language and opportunity to explain and work-out what it is they love. Our goal is to walk with them through this process, offering our expertise in design and process…and then, build it! We think it’s important to be good citizens and we strive to create harmony between our clients, their home and their neighbourhood. 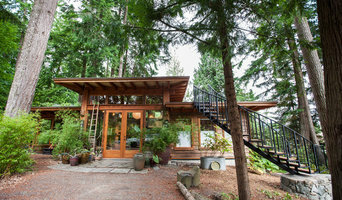 We love to see our clients inspired, the land respected, and the neighbourhood benefitted. We are thinkers and dreamers and love working with people who feel the same. 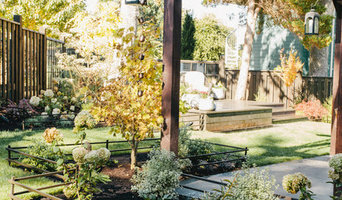 Trilogy Contracting Ltd. is operating throughout the Greater Vancouver and Fraser Valley regions, our quality-minded professionals and master tradesmen provide expert craftsmanship, a quick return on your investment, and long-term peace of mind. Delivering hassle-free, high-quality and cost-effective home improvement and renovation solutions is not our only goal – your comfort and peace of mind are just as essential. Trilogy Contracting Ltd. consistently exceeds client expectations and helps add equity and value to your home or place of business. We have 20 years experience in construction and owned a shop in downtown Vancouver. Design-build firms take on the responsibilities of architects, contractors and construction companies, all under one roof. These full-service firms focus on a streamlined design-build process — from the initial design to the estimating phase to physical construction — in the hope of creating an efficient experience for both the client and the company. Because the entire project is happening within one company, Victoria design-build firms are able to overlap the design and construction phases of the project, which often speeds up the project significantly. In addition, these firms work to minimize risks for the project owner through single-point responsibility contracts. However, depending on the firm, you may still want to contact an interior designer or architect to help create the exact look you want. Here are some related professionals and vendors to complement the work of design-build firms: Interior Designers & Decorators, Landscape Architects & Landscape Designers, Architects & Building Designers, Photographers. Before deciding on a residential design-and-build company in Victoria, BC, think about what you want from your new home. Do you want a large kitchen for entertaining? Do you need several bedrooms for children and guests? Do you want a finished basement for extra space or storage? 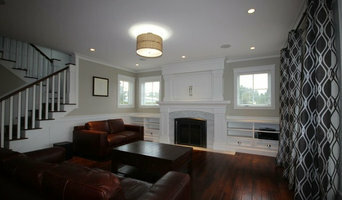 Look for Victoria design-builders that specialize in the areas you're looking for. Budget is obviously a determining factor in the outcome of your project. To make sure you stay within your means, consider making a must-have list and a wish list. Gauge where the estimates are falling to determine which design-build contract can realistically strike the balance between the two. Find a Victoria design-build company on Houzz. Narrow your search in the Professionals section of the website to design-build firms in Victoria, BC. You may also look through Victoria, BC photos to find a pool you like, then contact the design-build firm that created it.